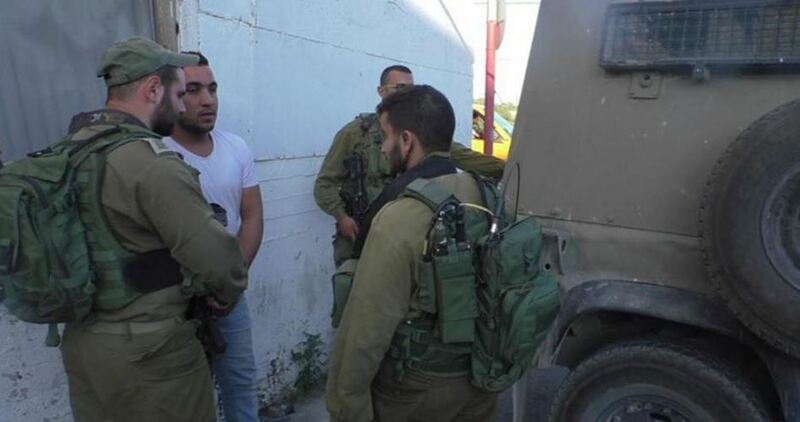 The Israeli occupation forces (IOF) arrested on Tuesday a high school student from Beit Ummar town to the north of al-Khalil city. Local sources reported that the IOF stormed al-Bayada area in the town and raided the house of Ahmed Khlail before arresting his 18-year-old son Omar. Omar, who has final exams these days, was transferred to Etzion interrogation center. 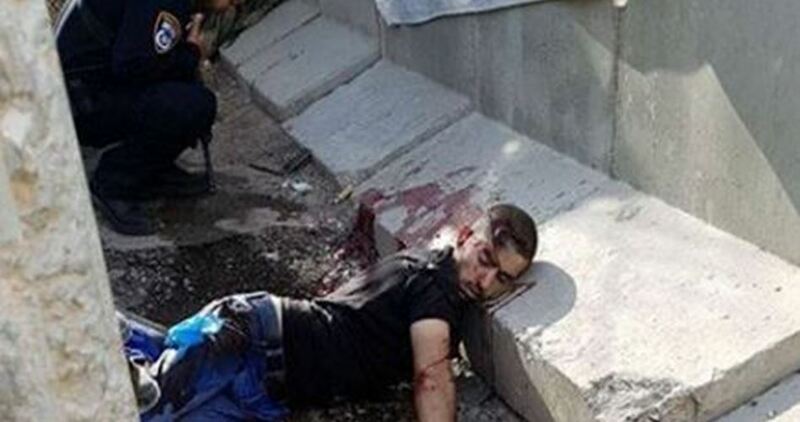 Israeli Occupation Forces (IOF) shot dead on Tuesday afternoon a Palestinian young man at Jaba military checkpoint near Ramallah after alleged stabbing attempt, according to Israeli channel seven. Palestinian Health Ministry revealed, in a brief statement, that a Palestinian youth, whose identity has not been identified yet, was killed by Israeli gunfire at an Israeli barrier northeast of Occupied Jerusalem. A significant shift has occurred in the IDF’s perception in regard to fighting in a coalition of forces. Until recently, the Israeli army did not often conduct combat exercises with foreign forces, with the exception of the Americans. Israel focused on joint maneuvers with the US army, but no other countries. This has changed. The IDF’s operational view today does not negate, and perhaps even encourages, the creation of international coalitions and joint combat. The IDF of 2017 conducts maneuvers with the Greeks, the Cypriots and other armies while upgrading its inter-army cooperation abilities. The commando unit maneuver in Cyprus was geared toward a possible future confrontation with Hezbollah, but not only that. The way things are developing on Israel’s northern front, scenarios now appear possible that one could not have imagined only a few years ago. Under certain circumstances, it is possible that the IDF would need to maneuver in Syrian, not Lebanese, territory. As strange as it might sound, maneuvers in Syria at this point in time would be totally different from what the IDF prepared itself for in the past. Since the Syrian army has disintegrated, and Syrian armored units no longer feature in significant numbers, the IDF’s outlook on maneuvers has changed accordingly. This is the reason the light commando brigade was founded. The brigade moves about on helicopters, jeeps and other light forms of transport. In a historic first, UNICEF on Monday announced the appointment of Muzoon Almellehan, a 19-year-old education activist and Syrian refugee, as its newest, and youngest, Goodwill Ambassador. Muzoon has been advocating for girls’ education since fleeing her hometown of Dara’a in 2013 to escape the war being waged by the Assad regime against the Syrian people. Muzoon lived as a refugee for three years in Jordan before being resettled in the United Kingdom. It was during her 18 months in the Za’atari camp that she began advocating for children’s access to education, particularly for girls. Mazoon encouraged all refugees not to give up their hopes and dreams and to attend school, noting that education helps build a better future. Mazoon stressed that she will continue to work to support refugees and their right to education. Israel’s restrictive policies in the run up to the busy Eid shopping season are hindering trade in the old souq in Jerusalem. Last week, 250,000 travel permits were revoked from Palestinians who live in the occupied West Bank but work or travel to Israel, which has further reduced the customer base for stall holders. The move came as a means of collective punishment implemented by Yoav Mordechai, the coordinator of Israeli government activities in the occupied territories, following an alleged stabbing attack which claimed the life of an armed female Israeli soldier. According to the Anadolu Agency, the punitive measures include setting up new military checkpoints and barricades in the areas around the holy city and reducing visitor numbers. When the soldier was killed, Israeli occupation authorities ordered Palestinians to close their markets and imposed fines on traders who violated the order. The slump in customers and sales has hit traders severely especially as many had begun preparation for the Muslim festival of Eid which is due to take place next week. shop keeper Sharif Abu-Ramleh said. The International Federation of Journalists (IFJ) has condemned the decision by the Palestinian Authority (PA) to close down 11 Palestinian news agencies affiliated with political opponents of the President Mahmoud Abbas. Blocking web sites and arresting journalists with opposing views is a grave breach of the Palestinian government’s commitment to press freedom and journalists’ fundamental rights. Last week the PA took the drastic measure of blocking 11 news sites from being accessed in the occupied West Bank including the sites of the Palestinian Information Centre, the Shehab News Agency, the Voice of Fatah and others. Even though all banned sites belonged to the critics of the Palestinian government, the PA denied its decision was politically motivated. The sites were blocked due to “a number of pending cases for reporting false information and being unethical,” PA officials said according to Ma’an News Agency. said the PJS, while calling for the immediate lifting of the ban. A number of journalists were arrested, without charge, following the clampdown including Dhaher Alshamaly, who had written an opinion piece which was critical of Abbas. IFJ President Philippe Leruth condemned the ban and called on the PA to lift the sanction immediately and to release “our colleague Dhaher Alshamaly”. Dozens of Palestinian prisoners released in 2011 in the Wafa al-Ahrar prisoner exchange have been imprisoned once more for over three years. 18 June 2017 marked the third anniversary of the seizure of 74 Palestinian prisoners released in the exchange agreement by Israeli occupation forces in mass arrests throughout Jerusalem and the West Bank in 2014. Nearly 60 of these Palestinian prisoners have had their original sentences reimposed under Article 186 of Israeli Military Order 1651, which created a special military committee to arbitrarily re-impose sentences upon former prisoners released in the exchange, usually on the basis of “secret evidence” or allegations of “violating their terms of release,” usually on the basis of “association” with prohibited organizations, which include all major Palestinian political parties. Among the re-imprisoned Palestinian prisoners is Nael Barghouthi, who has spent the longest period of time in Israeli prisons – 37 years. While the military commission originally imposed an additional 30-month sentence on him after his arrest in June 2014, the Israeli occupation prosecution appealed his sentence and restored his original life sentence plus 18 years. Samidoun Palestinian Prisoner Solidarity Network will be protesting for the release of Barghouthi in New York City on Friday, 30 June. The Palestinian Prisoners’ Society noted that the reimposition of Palestinian prisoners’ former sentences continues, including that of Nayef Ghizan, who attended a hearing scheduled for him only to be seized by occupation forces and his sentence of life plus 30 years restored on the same day. Amjad Abu Assab, the spokesperson of prisoners’ families in Jerusalem, was quoted in Quds News on the reimposition of released prisoners’ sentences. He said that seven Jerusalemite Palestinians had their original sentences reimposed: Ala’a el-Din Bazian, 59; Nasser Abed Rabbo, 50; Jamal Abu Saleh, 53; Rajab al-Tahhan, 49; Adnan Maragha, 48; Samer Issawi, 38; and Ismail Hijazi, 36. Palestinian prisoners and Palestinian political organizations and resistance movements have emphasized the critical importance of freeing these wrongfully imprisoned men whose original sentences were arbitrarily reimposed upon them as a form of collective punishment against former prisoners and their families. The release of the 57 prisoners has been held forward as a principal demand of the Palestinian resistance before any further negotiations for a future prisoner exchange will take place. Samidoun Palestinian Prisoner Solidarity Network demands the immediate release of all 57 of the re-arrested Palestinian prisoners, and all Palestinians imprisoned by the Israeli occupation. Military Order 1651 is used as a permanent threat against all former Palestinian prisoners as a constant criminalization of Palestinian existence and freedom. It serves as an attempt by the Israeli occupation to exclude the strugglers and leaders who have, in many cases, spent decades in Israeli prisons from Palestinian politics and the ongoing struggle for the freedom of their land and people. The arbitrary reimposition of former sentences on released prisoners is an attempt to terrorize all former Palestinian prisoners, their families and their communities. BETHLEHEM (Ma’an) — Israeli news daily Haaretz published a report Sunday night, detailing the extensive network of surveillance cameras and “other monitoring devices” that the Israeli army has set up across the occupied Palestinian territory, boasting of the network’s effectiveness in “deterring attacks” on Israeli citizens and Israeli forces.According to Haaretz, the army accelerated the program over the past year, with more than 1,700 surveillance cameras already installed on roads, intersections, and in illegal settlements across the West Bank.“The army believes more cameras deter terror attacks and can aid in gathering intelligence that can help to capture perpetrators,” Haaretz said, adding that “the improved signals intelligence capabilities of the Shin Bet security service and Military Intelligence were an important component in Israel’s response to attacks by terror cells affiliated with Hamas, Fatah, and Islamic Jihad,” during the Second Intifada.“Today’s challenges, however, are different. Most terror attacks are carried out by ‘lone wolves,’ acting without the backing of an organization, or by small, independent local cells. This development has made visual intelligence technology a more significant part of the Israeli defense program,” Haaretz — generally considered Israel’s most left-leaning newspaper — said.The narrative of “lone wolf” assailants under the influence of online incitement, which has been perpetuated by the current right-wing Israeli government, has been dismissed by analysts as overly simplistic.Palestinians have instead pointed chiefly to the frustration and despair brought on by Israel’s 50-year military occupation of the Palestinian territory and the absence of a political horizon as reasons for the outbreak of violence that started in October 2015 and has largely been characterized by small-scale stabbing attacks against uniformed Israeli security forces.At sites where several attacks have occurred, like the Gush Etzion junction in the southern West Bank district of Bethlehem, cameras have been installed that provide 360-degree coverage.Along Route 443 from Jerusalem to the central Israeli city of Modiin, “an operations room has been set up that collects data from many cameras in an effort to reduce the number of stone-throwing and firebomb attacks on this major artery,” Haaretz said, adding that the army has boasted a drop in the number of “attacks” along the road in recent months.“There has also been increased use of drones, helmet-mounted cameras, and cameras installed on military patrol vehicles but also in the vehicles of civilian security personnel in the settlements.”According to Haaretz, the army’s goal is to “expand the system until there is a camera at every intersection and in as many Israeli vehicles in the territories as possible.”Haaretz described the extensive surveillance efforts as “supplements” to Israeli authorities’ crackdown on Palestinian social media activity, which has seen at least 800 Palestinians detained, by both Israeli and Palestinian authorities, in less than a year over social media activity, according to an April reportfrom Haaretz. At the end of Sunday’s report, Haaretz raised the question about how “how far” such a use of technology and surveillance inside the West Bank and East Jerusalem, which have been illegally occupied by Israel for 50 years, would invade into the privacy of Palestinians. 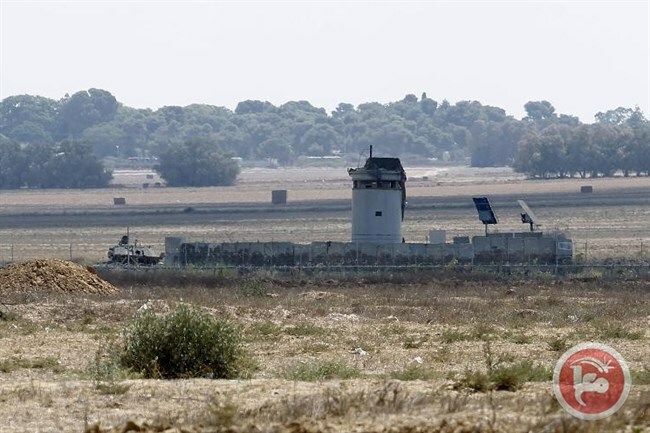 “These issues have never been publicly debated, nor is it clear whether Israel’s security services have given much thought to the possible long-term ramifications of these developments,” Haaretz concluded. BETHLEHEM (Ma’an) — Out of the 70 municipalities that did not participate in the occupied West Bank’s local elections in May, voting will take place in just 15 of them in the upcoming “complementary” local elections scheduled for July 29, the Palestinian Central Elections Commission (CEC) said Tuesday. It was announced at the end of May that the supplementary municipal elections would be held in the West Bank councils that did not present electoral lists in time for the regular elections. Elections would also reportedly take place in the Gaza Strip. The May 13 elections only took place in the West Bank, as Hamas, the de facto ruling party of the besieged Gaza Strip, rejected the legitimacy of the election, saying that elections should only be held after the more than decade-long rivalry between Hamas and Fatah came to an end and reconciliation was achieved. 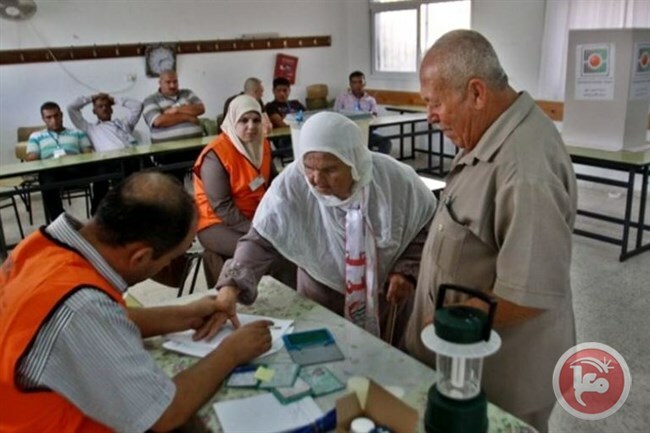 When the timeline of the coming supplementary elections was announced on May 31, official Palestinian news agency Wafa reported that voting in the Gaza Strip would take place on Oct. 10, after the July elections in the West Bank. However, the CEC’s statement on Tuesday made no mention of coming elections in Gaza, and it remained unclear how the Palestinian Authority (PA) expected to carry out elections there, as Hamas has not publicly reversed their boycott of the elections. The CEC statement said that the 15 West Bank municipalities would hold elections on July 29, as they had more than one nominated list. Only one list presented itself in 18 other municipalities, and were thus expected to win uncontested. Elections will not take place in 36 municipalities where no lists were nominated, and in another municipality due to an incomplete nomination, according to the CEC. The Palestinian cabinet was expected to appoint council members in these municipalities. During the nomination period the CEC received 74 nomination applications. The CEC accepted the nomination of 73 lists upon meeting the legal requirements of nomination stipulated in the local elections law and rejected one list for failing to meet the nomination conditions.Nominated lists can still withdraw their nomination until July 14 and the final register of lists and candidates will be announced on July 15, coinciding with the commencement of elections campaigning activities, according to the CEC. Rabat – Morocco and Tunisia have announced their support to a political solution to the crisis in Libya, namely the Skhirat Agreement, which was signed in late 2015 under the auspices of the United Nations. The meeting, which was co-chaired by Moroccan Prime Minister Saadeddine al-Othmani and his Tunisian counterpart, Youssef Chahed, stressed the two countries’ rejection of the military options. The statement underlined the importance of reaching a political solution as the only means to overcome the current situation by preserving the country’s territorial unity. The two sides expressed their condemnation of all forms of terrorism, highlighting the need to unify efforts to fight terrorist groups in the Maghreb region and the world. In this regard, the two countries urged the five Maghreb states to “promote cooperation, consolidate dialogue and increase security cooperation in order to face terrorism according to an organized mechanism that aims at prioritizing common interests and rejecting all forms of introversion. Tunisia and Morocco also called for the need to overcome all deadlocks within the Maghreb Union, as well as activating the work of institutions. “This requires a strong political will and serious work by the five Maghreb countries in line with the noble goals which were set in the Marrakesh agreement,” the statement said. It also called for fulfilling the aspirations of the Maghreb population with regards to growth, stability and decent living. The two sides also condemned the violations committed by Israel and the attacks against Al-Aqsa Mosque, urging the international community to force the Jewish state to abide by the international legitimacy. The commission discussed means to boost bilateral cooperation and signed 10 agreements in various sectors, including agriculture, investment, civil aviation, vocational training, higher education, and employment.